One soul played the roles of Thoth the Scribe, Zoroaster the Persian Prophet, and many of the Sumerian Gods who create realities and are linked with celestial alignments and Ancient Alien Theory. They were considered Gods, Prophets, Magicians and Astrologers. The Greeks (in the Hellenistic sense of the term) understood Zoroaster to be the "prophet and founder of the religion of the Iranian peoples" (e.g. Plutarch Isis and Osiris 46-7, Diogenes Laertius 1.6-9 and Agathias 2.23-5), "the rest was mostly fantasy." He was set in the impossibly ancient past, six to seven millennia before the Common Era, and was variously a king of Bactria, or a Babylonian (or teacher of Babylonians), and with a biography typical for every Neopythagorean sage, i.e. a mission preceded by ascetic withdrawal and enlightenment. Most importantly however, was their picture of Zoroaster as the sorcerer-astrologer non-plus-ultra, and indeed as the "inventor" of both magic and astrology. Deriving from that image, and reinforcing it, was a "mass of literature" attributed to him and that circulated the Mediterranean world from the 3rd century BC to the end of antiquity and beyond. "The Greeks considered the best wisdom to be exotic wisdom" and "what better and more convenient authority than the distant - temporally and geographically - Zoroaster." The language of that literature was predominantly Greek, though at one stage or another various parts of it passed through Aramaic, Syriac, Coptic or Latin. Its ethos and cultural matrix was likewise Hellenistic, and "the ascription of literature to sources beyond that political, cultural and temporal framework represents a bid for authority and a fount of legitimizing 'alien wisdom'. Zoroaster and the magi did not compose it, but their names sanctioned it." The attributions to "exotic" names (not restricted to magicians) conferred an "authority of a remote and revelation wisdom." Once the magi were associated with magic in Greek imagination, Zoroaster was bound to metamorphose into a magician too. The 1st century Pliny the elder names Zoroaster as the inventor of magic (Natural History 30.2.3). "However, a principle of the division of labor appears to have spared Zoroaster most of the responsibility for introducing the dark arts to the Greek and Roman worlds." That "dubious honor" went to the "fabulous magus, Ostanes, to whom most of the pseudepigraphic magical literature was attributed." Although Pliny calls him the inventor of magic, the Roman does not provide a "magician's persona" for him. Moreover, the little "magical" teaching that is ascribed to Zoroaster is actually very late, with the very earliest example being from the 14th century. One factor for the association with astrology was Zoroaster's name, or rather, what the Greeks made of it. Within the scheme of Greek thinking (which was always on the lookout for hidden significances and "real" meanings of words) his name was identified at first with star-worshiping (astrothytes "star sacrificer") and, with the Zo-, even as the living star. Later, an even more elaborate mytho-etymology evolved: Zoroaster died by the living (zo-) flux (-ro-) of fire from the star (-astr-) which he himself had invoked, and even, that the stars killed him in revenge for having been restrained by him. Similar ideas about Zoroaster also appear in early Christian literature, beginning with the Clementine Homilies 9.4-5, which identifies him with a parallel series of traditions about Nimrod having been the founder of astrology. In this account, Nimrod is killed by lightning and posthumously deified by the Persians as "Zoroaster, on account of the living (zosan) stream of the star (asteros) being poured upon him." The second, and "more serious" factor for the association with astrology was the notion that Zoroaster was a Babylonian. The alternate Greek name for Zoroaster was Zaratas/Zaradas/Zaratos (cf. Agathias 2.23-5, Clement Stromata I.15), which - so Cumont and Bidez - derived from a Semitic form of his name. The Pythagorean tradition considered the mathematician to have studied with Zoroaster in Babylonia (Porphyry Life of Pythagoras 12, Alexander Polyhistor apud Clement's Stromata I.15, Diodorus of Eritrea, Aristoxenus apud Hippolitus VI32.2). Lydus (On the Months II.4) attributes the creation of the seven-day week to "the Babylonians in the circle of Zoroaster and Hystaspes," and who did so because there were seven planets. The Suda's chapter on astronomia notes that the Babylonians learned their astrology from Zoroaster. Lucian of Samosata (Mennipus 6) decides to journey to Babylon "to ask one of the magi, Zoroaster's disciples and successors," for their opinion. 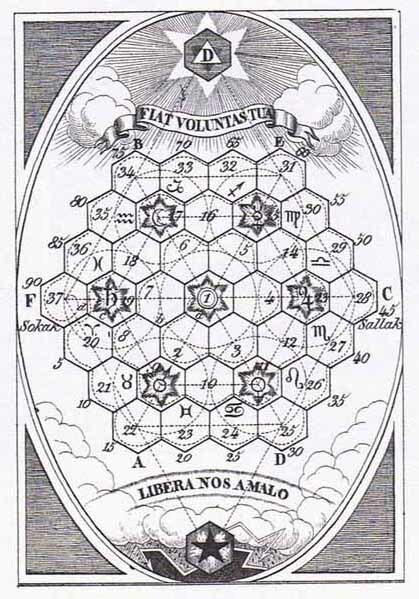 While the division along the lines of Zoroaster/astrology and Ostanes/magic is an "oversimplification, the descriptions do at least indicate what the works are not." They were not expressions of Zoroastrian doctrine, they were not even expressions of what the Greeks and Romans "imagined the doctrines of Zoroastrianism to have been." The assembled fragments do not even show noticeable commonality of outlook and teaching among the several authors who wrote under each name. Almost all Zoroastrian pseudepigrapha is now lost, and of the attested texts - with only one exception - only fragments have survived. Pliny's 2nd/3rd century attribution of "two million lines" to Zoroaster suggest that (even if exaggeration and duplicates are taken into consideration) a formidable pseudepigraphic corpus once existed at the Library of Alexandria. This corpus can safely be assumed to be pseudepigrapha because no one before Pliny refers to literature by "Zoroaster," and on the authority of the 2nd century Galen of Pergamon and from a 6th century commentator on Aristotle it is known that the acquisition policies of well-endowed royal libraries created a market for fabricating manuscripts of famous and ancient authors. The exception to the fragmentary evidence (i.e. reiteration of passages in works of other authors) is a complete Coptic tractate titled Zostrianos (after the first-person narrator) discovered in the Nag Hammadi library in 1945. A three-line cryptogram in the colophones following the 131-page treatise identify the work as "words of truth of Zostrianos. God of Truth [logos]. Words of Zoroaster." Invoking a "God of Truth" might seem Zoroastrian, but there is otherwise "nothing noticeably Zoroastrian" about the text and "in content, style, ethos and intention, its affinities are entirely with the congeners among the Gnostic tractates." Among the named works attributed to "Zoroaster" is a treatise On Nature (Peri physeos), which appears to have originally constituted four volumes (i.e. papyrus rolls). The framework is a retelling of Plato's Myth of Er, with Zoroaster taking the place of the original hero. While Porphyry imagined Pythagoras listening to Zoroaster's discourse, On Nature has the sun in middle position, which was how it was understood in the 3rd century. In contrast, Plato's 4th century BC version had the sun in second place above the moon. 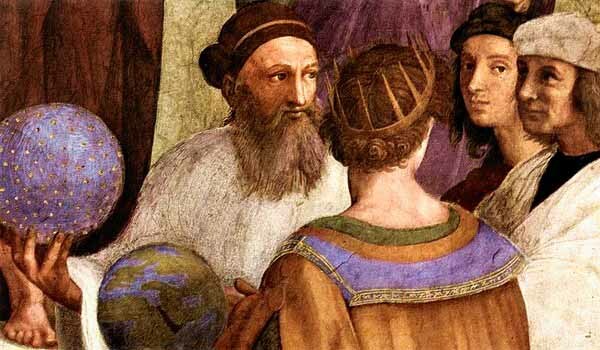 Ironically, Colotes accused Plato of plagiarizing Zoroaster, and Heraclides Ponticus wrote a text titled Zoroaster based on (what the author considered) "Zoroastrian" philosophy in order to express his disagreement with Plato on natural philosophy. With respect to substance and content in On Nature only two facts are known: that it was crammed with astrological speculations, and that Necessity (Ananke) was mentioned by name and that she was in the air. Another work circulating under the name of "Zoroaster" was the Asteroskopita (or Apotelesmatika), and which ran to five volumes (i.e. papyrus rolls). The title and fragments suggest that it was an astrological handbook, "albeit a very varied one, for the making of predictions." A third text attributed to Zoroaster is On Virtue of Stones (Peri lithon timion), of which nothing is known other than its extent (one volume) and that pseudo-Zoroaster sang it (from which Cumont and Bidez conclude that it was in verse). Numerous other fragments (preserved in the works of other authors) are attributed to "Zoroaster," but the titles of whose books are not mentioned. One of Zoroaster's 4 Oracles - "Zoroaster's Great Mirror"